Listen & watch: ‘TRANSFORMATION LIFE’ Michel Montecrossa’s Michel & Bob Dylan Fest 2016 (Michel Montecrossa sings Bob Dylan www.Michel-BobDylan.com) – this year Michel Montecrossa’s ‘Michel & Bob Dylan Fest’ at the Spirit of Woodstock Festival will take place on 26th July 2018, read about it here. 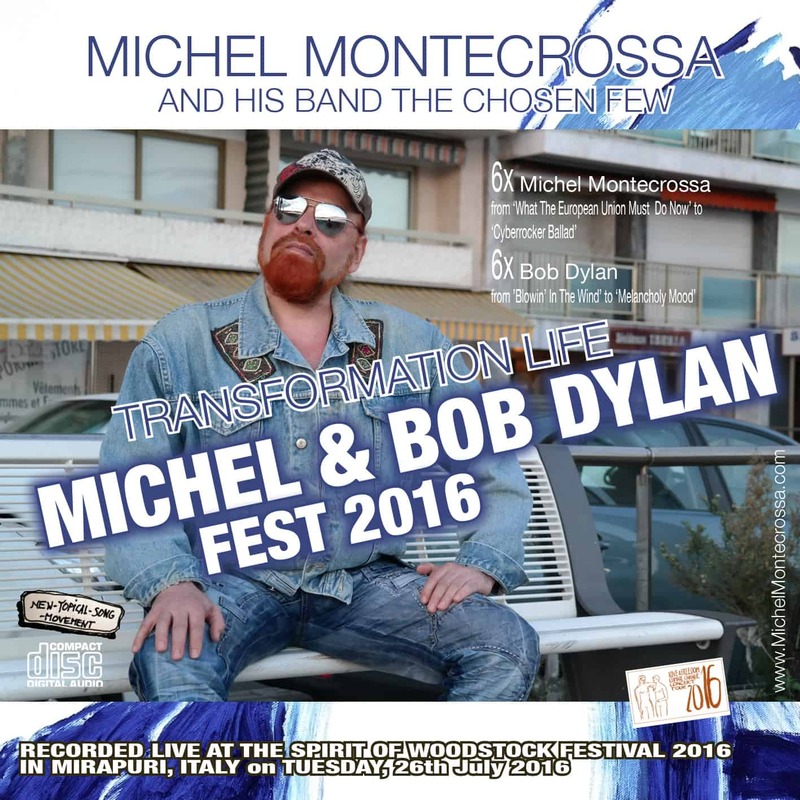 TRANSFORMATION LIFE Michel Montecrossa’s Michel & Bob Dylan Fest 2016 is released by Mira Sound Germany on Audio-CD, DVD and as Download. TRANSFORMATION LIFE Michel Montecrossa’s Michel & Bob Dylan Fest 2016 which was recorded live on Tuesday 26th July 2016 during the legendary Spirit of Woodstock Festival 2016 in Mirapuri is presenting the outstandingly revealing performances of 6 Michel Montecrossa songs and 6 Bob Dylan songs performed by Michel Montecrossa and his band The Chosen Few. 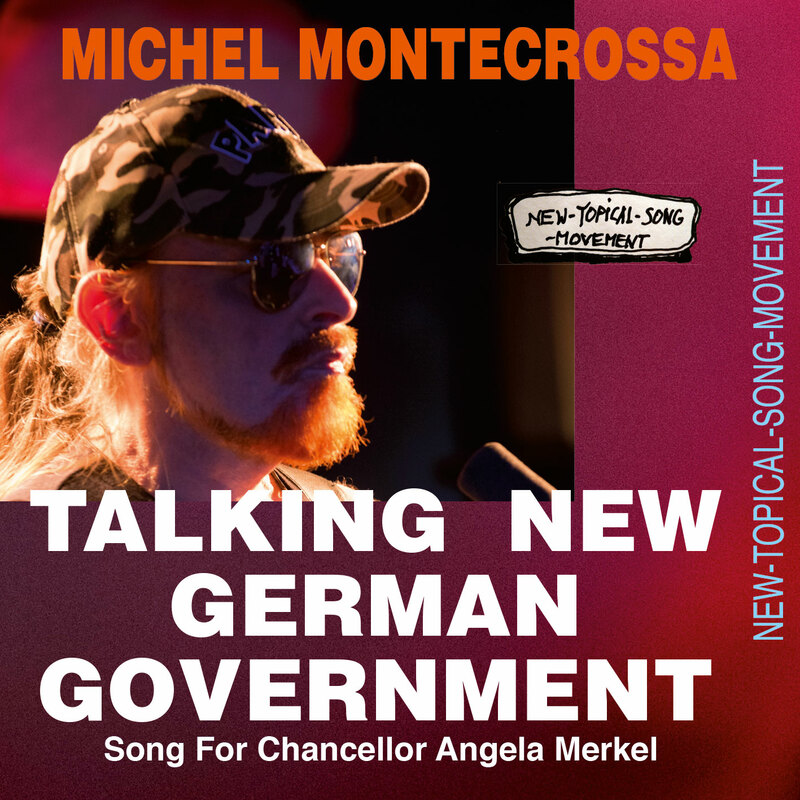 TRANSFORMATION LIFE Michel Montecrossa’s Michel & Bob Dylan Fest 2016 begins with Michel Montecrossa’s brand-new after-Brexit Topical Song ‘What The European Union Must Do Now – Was Die Europäische Union Jetzt Machen Muss’, followed by the timeless Bob Dylan folk Protest Song ‘Blowin’ In The Wind’. 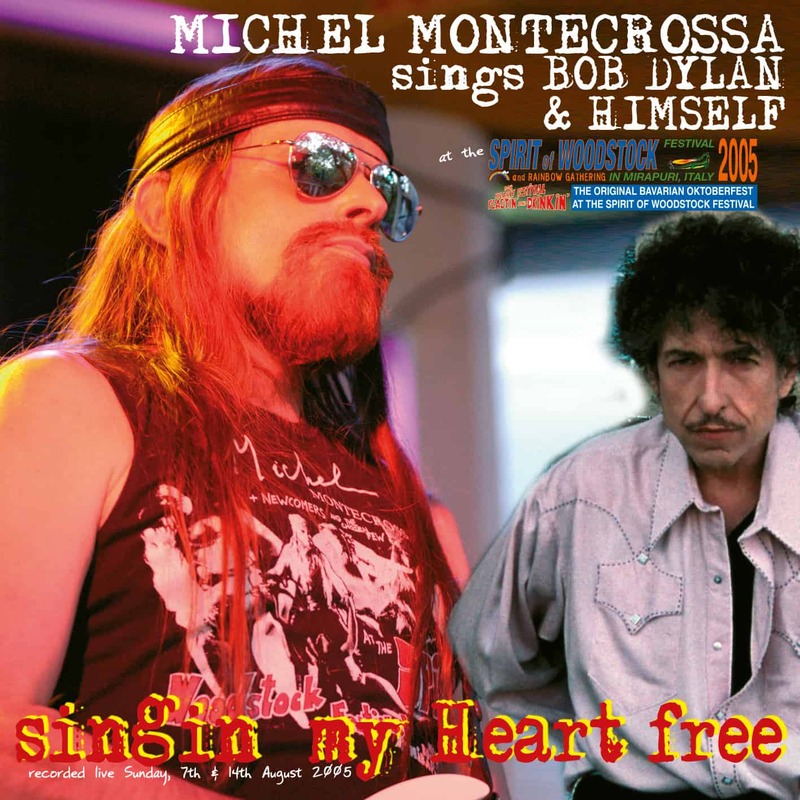 The Michel Montecrossa Transformation-Reality-Song ‘No Sugar’ leads to Bob Dylan’s bitter-sweet look-life-into-the face Love Song ‘To Ramona’. 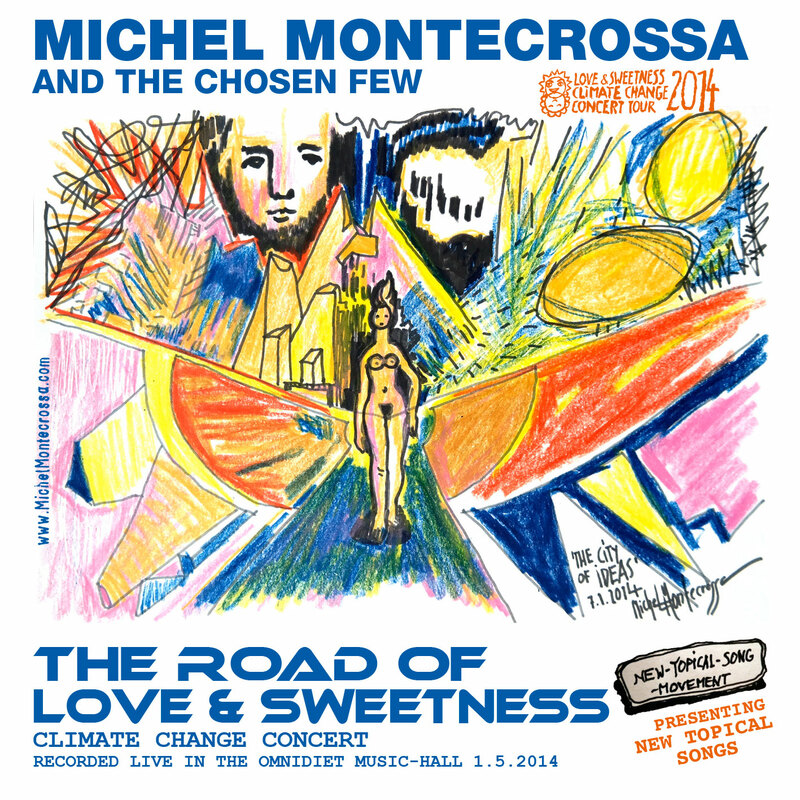 Michel Montecrossa then goes on with his soulful ‘Woman & Man, Man & Woman’. 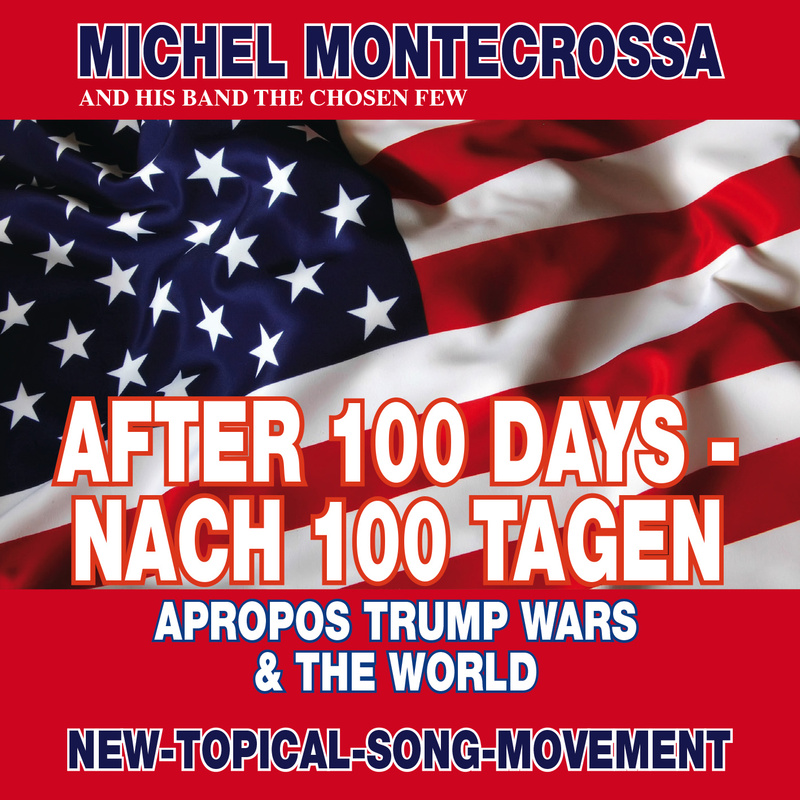 The tender Bob Dylan song ‘Tomorrow Is A Long Time’ connects to Michel Montecrossa’s Mirapuri Song ‘The Place Of The Free’. In the thoughtful ‘Yes Or No Blues’ Michel Montecrossa asks his girl “Tell me girl: Are you ‘Yes’ or ‘No’, or have you found the middle? Tell me girl: Are you unbound or do you move in circles? It’s your mind. It’s your heart. It’s the whisper. It’s the star.” Then he extends the seeking and finding emotion into the performance of the Bob Dylan song ‘Where Teardrops Fall’. The finale are the autobiographical ‘Cyberrocker Ballad’ by Michel Montecrossa, the self reflecting Bob Dylan song ‘Most Of The Time’ and ‘Melancholy Mood’, one of the Frank Sinatra songs which Bob Dylan also performed. 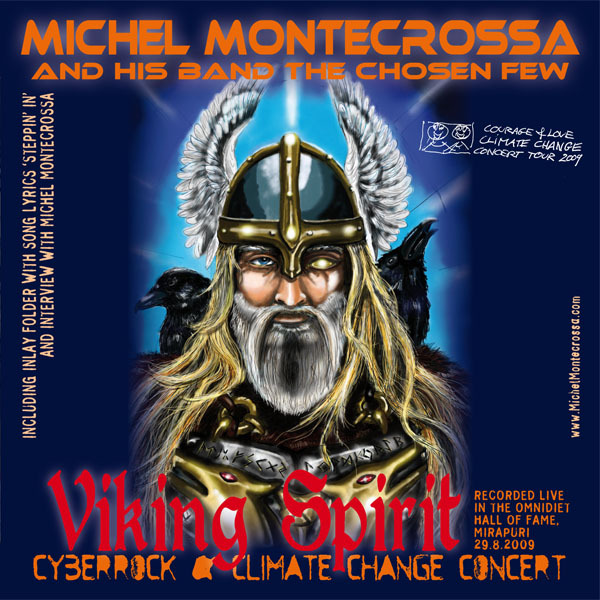 Experience Michel Montecrossa, Mirakali and his band The Chosen Few at this year’s Spirit of Woodstock Festival in Mirapuri, Italy (www.SpiritOfWoodstockFest.com) taking place from 19th to 23rd July 2017 – looking forward to meet you at the Festival! 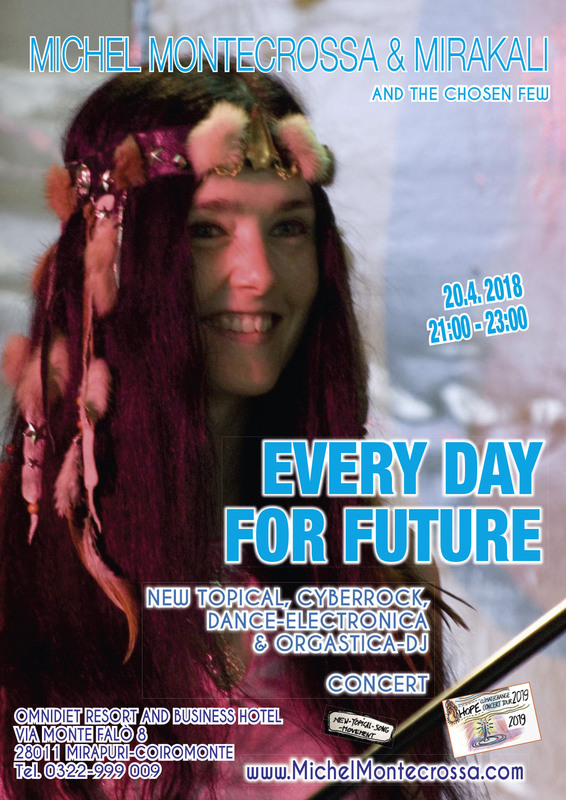 Today’s CyberRock Tuesday presents Michel Montecrossa‘s album ‘Singin’ My Heart Free’ recorded live at the Spirit of Woodstock Festival – read here about the album. The 2 Bob Dylan songs included on this album are ‘Billy 7’ and ‘Blowin’ In The Wind’.